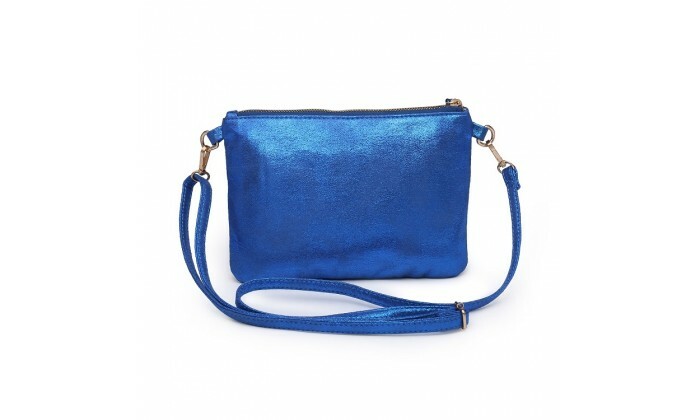 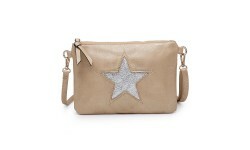 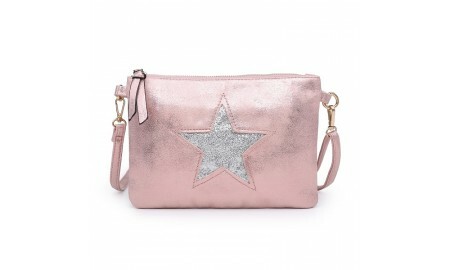 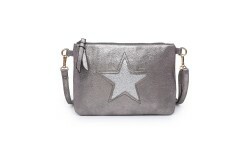 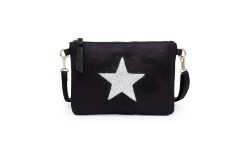 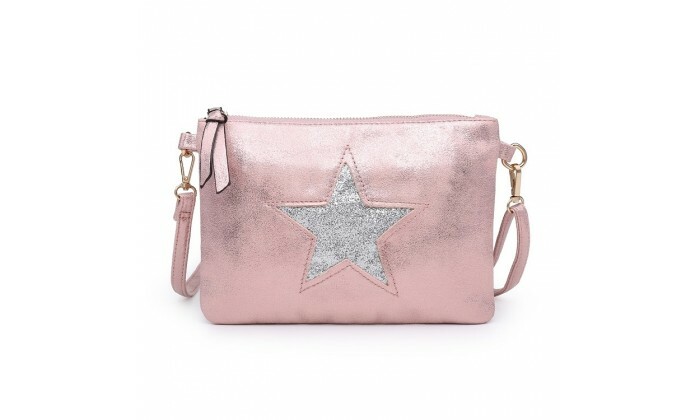 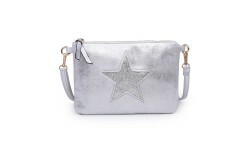 A stylish, metallic, clutch bag with a sequin star decoration on the front, has a zip top fastening, wrist strap and detachable across body strap. 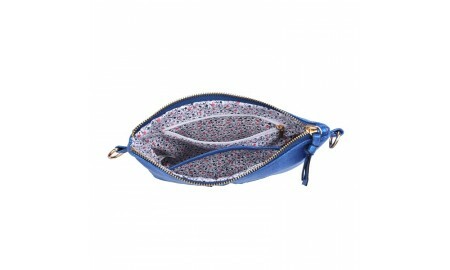 Inside the main compartment there is a side zip fastened pocket with a side pouch pocket opposite. Pictures of back and inside are of blue version.